Rabbi Avraham Yaakov Pam was a great Talmudic scholar, and the Rosh Yeshiva of Yeshiva Torah Vodaas in Brooklyn, New York. Rabbi Avraham Yaakov Pam was born in Vidz, a small village in Lithuania. 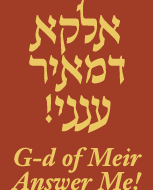 His father, Rabbi Meir, was an exceptional Torah scholar. Rabbi Pam would tell his family and students that his father almost never went to bed. He would learn until he dozed off from fatigue, and would wake up in the middle of the night and return to his studies. His mother was a learned and pious woman. Rabbi Pam would say about her that since she was incapable of seeing bad in people, she never could speak ill of anyone. She was also fluent in the entire Tanach and was expert at using its lessons to comfort the downtrodden. Rabbi Meir Pam first learned in Knesses Bais Yitzchak, and later in the Chofetz Chaim's Kollel Kodoshim, where two of his colleagues were Rabbi Elchonon Wasserman and Rabbi Yosef Kahaneman, the future Ponevizher Rav. Rabbi Kahaneman later was the Rabbi of Vidz for a while, and invited Reb Meir to give lectures in the yeshiva there. In 1927, Rabbi Meir Pam came to the United States. After securing positions as a Talmud lecturer in Yeshiva Rabbi Chaim Berlin and as rabbi of the Beis Medrash Hagadol in Brownsville. He then brought over his family. . When Rabbi Avrohom Pam was 11 years old, his parents sent him away from home to a yeshiva. There was a time when he slept on a bench in the local shul, but nothing deterred him from learning as long and intensely as he could. He was part of a special group of youngsters in Slabodka, where he became a frequent Shabbos guest of Rabbi Yaakov Kamenetzky. It was a warm relationship that was to be resumed many years later when Rabbi Kamenetzky became Rosh Yeshiva in Torah Vodaath. When Rabbi Pam returned to America he became a student in Torah Vodaas in Brooklyn. He remained there for the rest of his life. Rabbi Pam's teaching career began at Yeshiva Torah Vodaas in 1938, when was appointed a Talmudic lecturer there. Holding various teaching positions at Torah Vodaas, Rabbi Pam spent over sixty years there, including even teaching mathematics, utilizing his degree from City College. For many years he delivered the semicha class to students studying toward rabbinic ordination. Rabbi Pam was totally unassuming; in his dress, his speech, as well as in his mannerisms. Rabbi Pam was a great Talmudic scholar, but he was famous for his humility and soft-spoken style. He was one of the great spiritual leaders of our generation and a member of the Council of Torah Sages of Agudath Israel. Rabbi Avraham Yaakov Pam had tremendous concern for families in Israel and the Rabbi Meir Baal Haneis Salant charity fund. Rabbi Pam is a signatory on the historic 1979 Kol Koreh (broadside) on behalf of Rabbi Meir Baal Haneis Salant, together with such Torah giants as Rabbi Moshe Feinstein, Rabbi Yaakov Yisroel Kanievsky the "Steipler", Rabbi Shloma Zalman Auerbach, Rabbi Elazar Simcha Wasserman, Rabbi Dovid Povarsky, Rabbi Yechiel Michel Feinstein, Rabbi Moshe Shmuel Shapiro, Rabbi Shmuel Birnbaum, and many, many others. May their memory be a blessing to all.